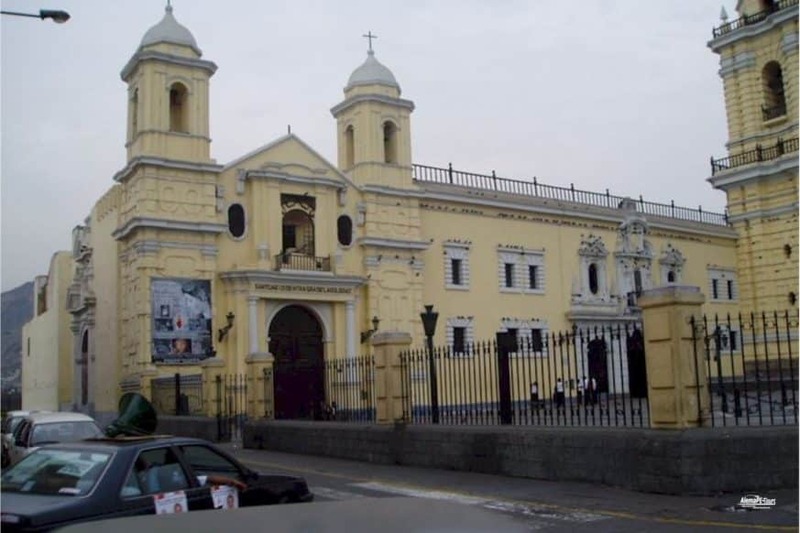 In the middle of the historic city of Lima and not far from the Plaza Mayor is the Franciscan monastery of San Francisco from the 17th century and awaits you with its magnificent two churches, its extremely beautiful library and not to forget, with its eerie catacombs. 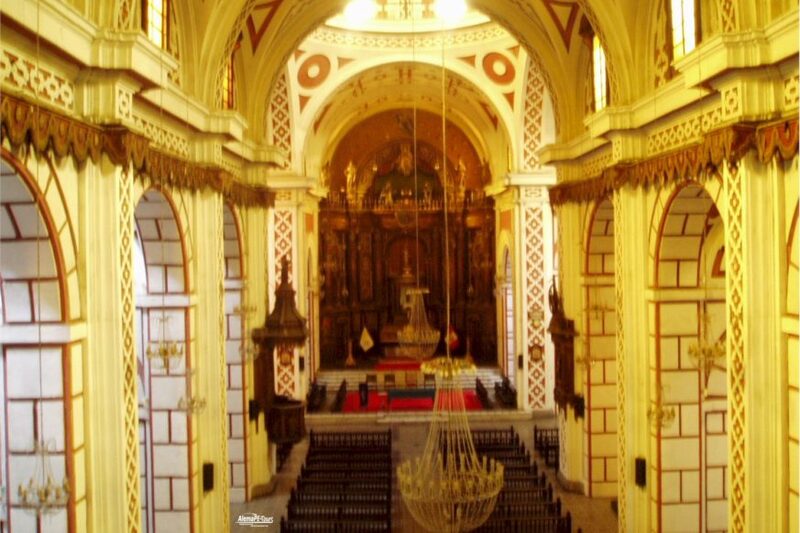 The Monasterio de San Francisco was built in the Baroque Spanish colonial style of the 17th century in the city center of Lima. The Franciscan monastery, a temple and the two churches of El Milagro (The Miracle) and La Soledad (The Solitude) are located on the site of the extensive complex. With its impressive library and catacombs filled with countless bones, it offers a spectacular experience. 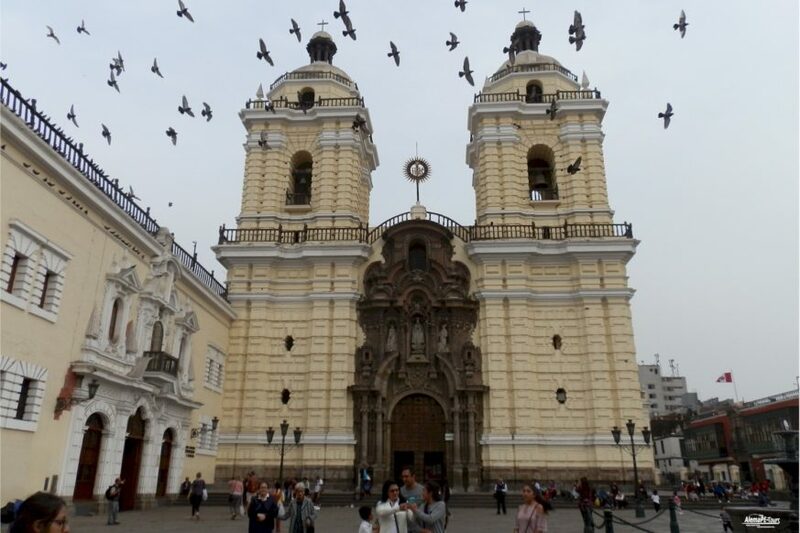 The monastery in the historical center of Lima was declared a UNESCO World Heritage Site in 1991. 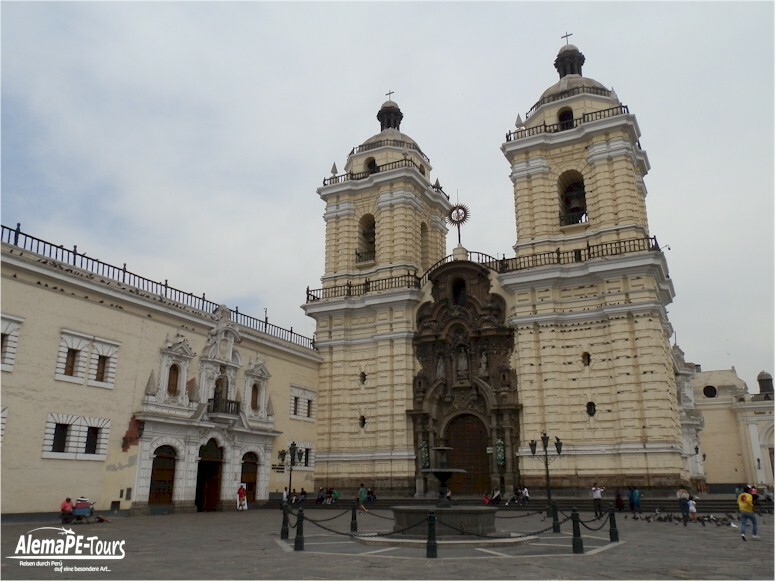 The church with its yellow and white facade of the colonial style is a very popular photo opportunity and can be photographed particularly well from the courtyard of the exterior of the monastery. 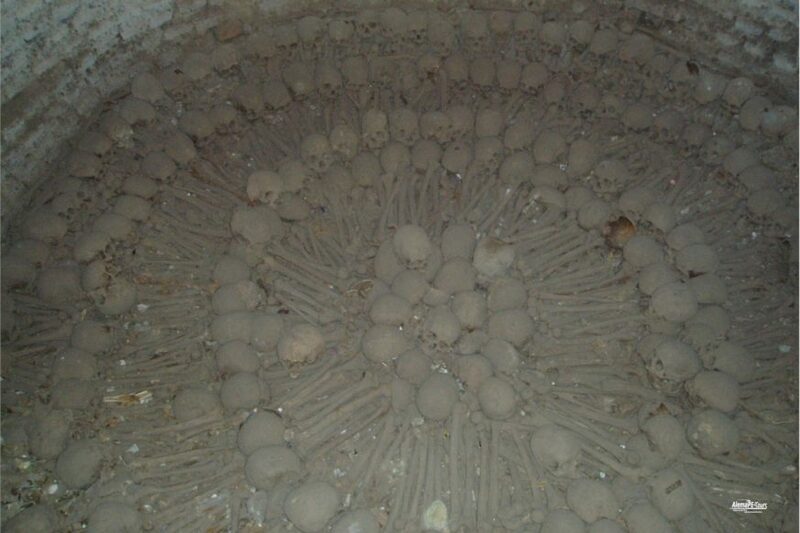 In the catacombs below the church, the last remnants of a creepy past await you, with bones and skulls arranged in geometric patterns. According to historical data, about 75,000 bodies were buried in the catacombs. The visit to the catacombs is not necessarily something for people with weak nerves, the environment and rooms under the monastery complex are accessible via a guided tour and you can expect many bones and sights that can freeze the blood in your veins. The very famous library of the Franciscan Monastery is a special highlight. The library houses about 25,000 ancient cultural and religious writings. Many of the works date from before the arrival of the Spanish conquerors in South America. One of the most famous works of the library is a Bible from 1571. 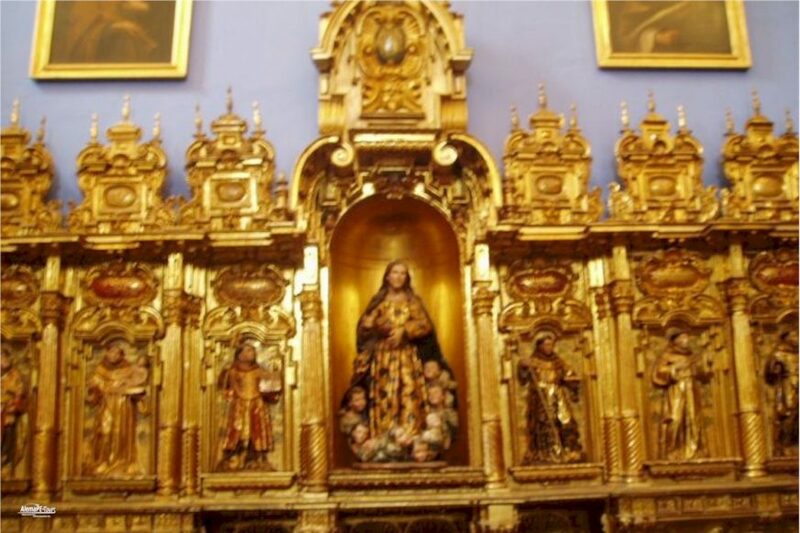 The main altar of the church is made entirely of wood. The corridors have been decorated in the style of the 17th century with elaborately arranged tiles from Seville. Again and again, restoration work takes place to preserve the monastery complex in its essential core as it presents itself today. Judas Thaddäus is the patron saint of this church and was one of the twelve apostles. Construction of the church began in 1673 but it was completed in 1774. The church survived the earthquake that had taken place in the previous years up to a very large earthquake in 1970 without much damage. During the earthquake in 1970, a violent quake led to extensive destruction. The monastery is open to the public daily from 9 am to 8:15 pm. 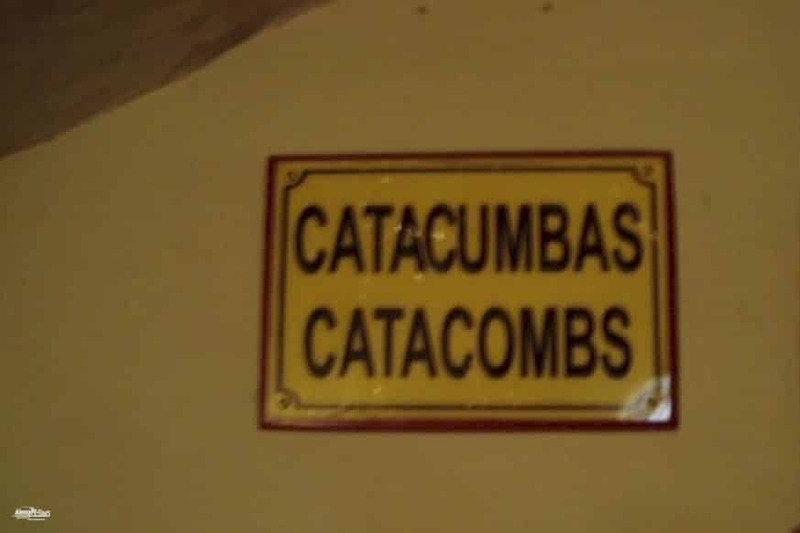 You can participate in guided tours of the monastery and the catacombs. The duration of the tour through the monasteries is about an hour.